This standard medical question often surprises women. For a woman who has recently conceived or utilizes natural family planning, the answer is invaluable. The onset of menstruation is the most obvious sign of where a woman is in her cycle. It is therefore regarded as the “beginning” of her menstrual cycle. The menstrual cycle is a combination of two different cycles taking place simultaneously, the ovarian and endometrial cycle. The ovarian cycle refers to an egg’s journey from the ovaries to the uterus. The endometrial cycle describes the creation and disintegration of endometrial tissue in the uterus. If sperm, which can live for up to 5 days inside a woman’s body, reaches the egg, a child is conceived and hCG is produced. Human Chorionic Gonadotropin (hCG) is vital to the implantation process as it prevents the shedding of the uterine lining in very early pregnancy. This hormone is also detected in urine, indicating a positive result in most at-home pregnancy tests. If sperm does not reach the egg, the uterine lining begins to disintegrate and sheds soon after, beginning a new cycle. In 1812 a German physician, Dr. Franz Karl Naegele, wrote that a pregnancy lasts for 280 days, or 40 weeks, after the first day of the last menstrual period. Although this theory makes many assumptions (for example, the length of a menstrual cycle is assumed to be 28 days) it is the generally accepted standard and basis for many pregnancy calculators. Woman, especially those with irregular cycles, should be aware that their estimated due date is more accurately in the middle of a 10-day time frame during which their baby is likely to be born. 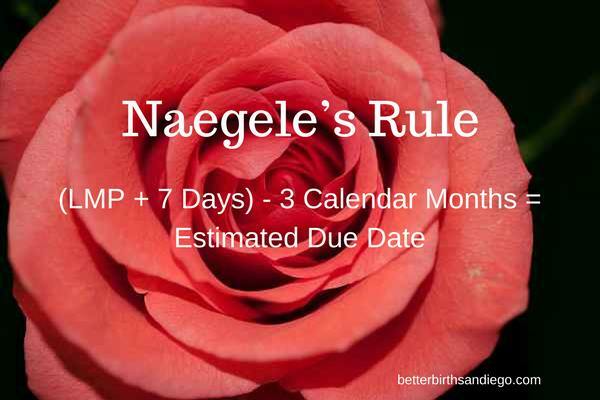 Naegele’s rule adds 7 days to the woman’s last menstrual period (LMP) and then subtracts 3 calendar months. 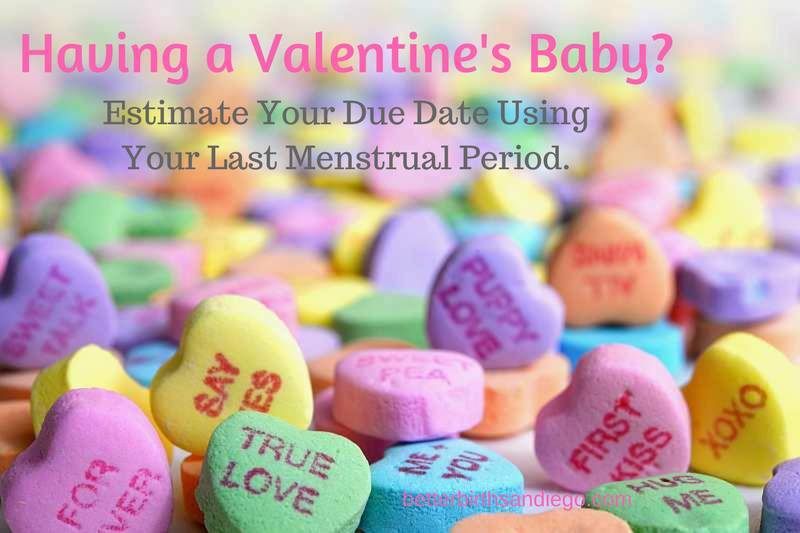 LMP= February 1st (2/1) Assuming average cycle length, ovulation would occur on Valentine’s Day. So, are you having a Valentine’s baby?